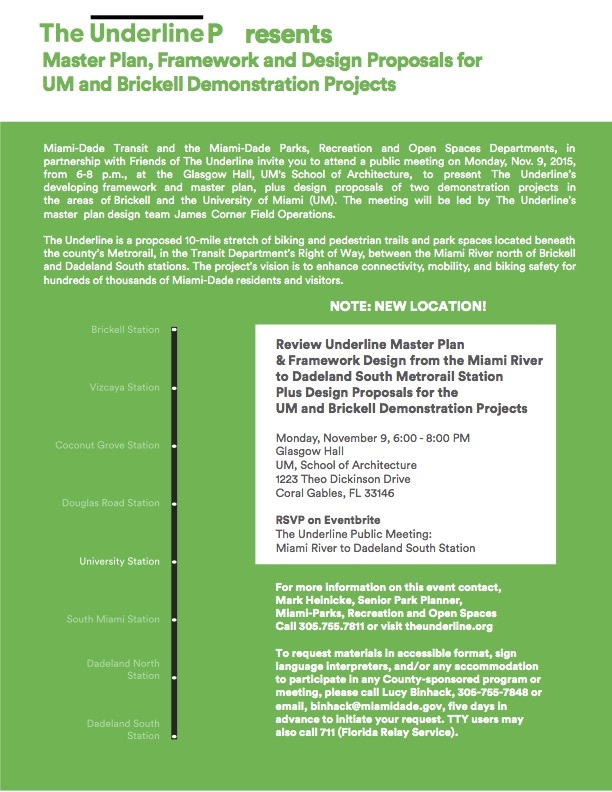 Miami-Dade Transit and the Miami-Dade Parks, Recreation and Open Spaces Departments, in partnership with Friends of The Underline invite you to attend a public meeting on Monday, Nov. 9, 2015, from 6-8 p.m., at Glasgow Hall-University of Miami, to present The Underline’s developing framework and master plan, plus design proposals of two demonstration projects in the areas of Brickell and the University of Miami (UM). 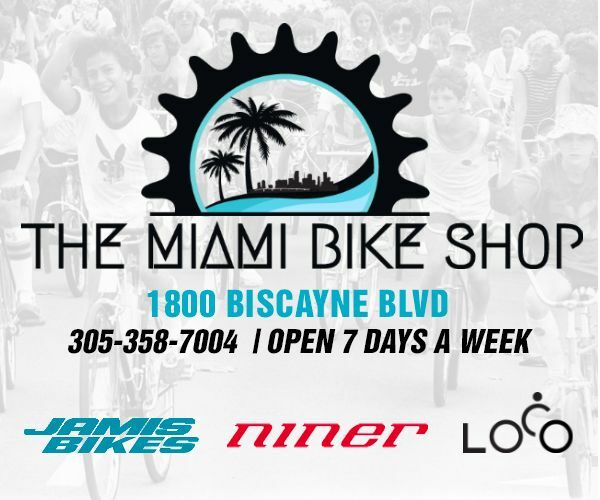 The meeting will be led by The Underline’s master plan design team James Corner Field Operations. 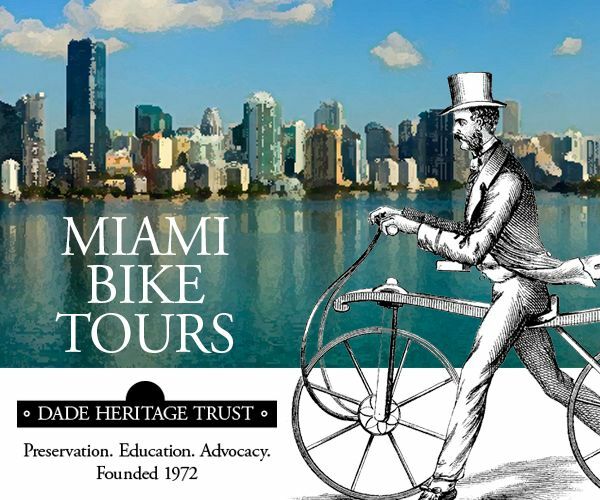 The Underline is a proposed 10-mile stretch of biking and pedestrian trails and park spaces located beneath the county’s Metrorail, in the Transit Department’s Right of Way, between the Miami River north of Brickell and Dadeland South stations. 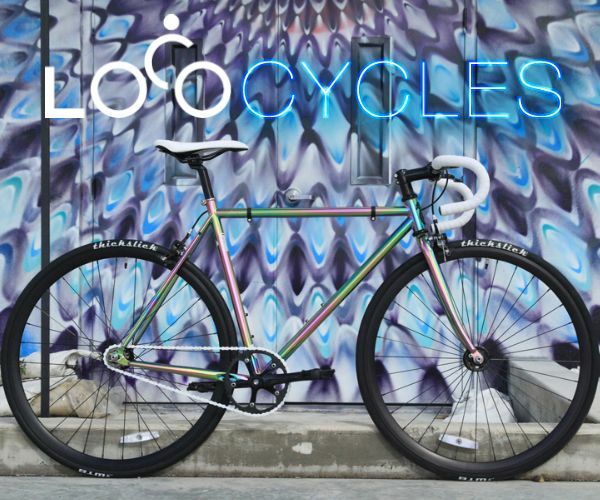 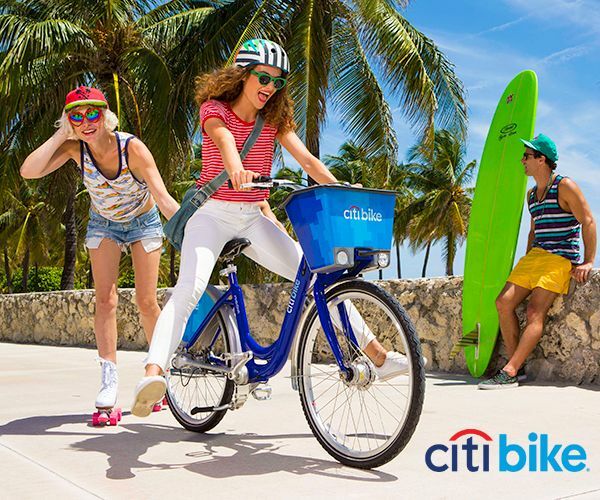 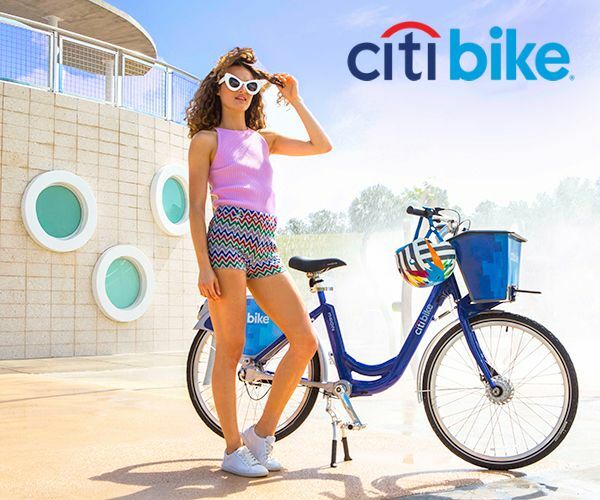 The project’s vision is to enhance connectivity, mobility, and biking safety for hundreds of thousands of Miami-Dade residents and visitors.